For avid NFL fans like us, we know how crucial those four months of the year are. We have our calendars blocked out with matches and our weekends are spoken for until the season ends. That is, when you have reliable cable and the luxury of watching the games on your local channel and from your home. If you are unfortunate enough to be traveling during the NFL season, keeping up with game stats can be a headache. Many alternatives goes a long way in fixing this problem for expats everywhere. The most obvious issue expats face when trying to keep up with American football is the lack of coverage on international television channels. Many American television providers allow mobile viewing on the go so one would think this solves the problem. This is not the case however, because according to NFL rules, those televised Sunday games must correspond with the location of the mobile device. So if your phone is not located in the local coverage area for televised games, then NFL games are blocked on it. This of course cancels out any international travelers who have hopes of catching up with NFL games from Thailand. The easiest though not cheapest way to get your NFL while traveling is to find a sports bar that shows live games. This only works if you can find one that shows NFL games and you don’t mind the crowds, noise and all sorts of visual distractions that come between you and your game. If you are travelling in the US, finding a suitable sports bar is relatively easy. For international travelers, things are a bit more difficult because such places are few and far between. For a price you can get the NFL Game Pass which is ideal for fans that are travelling outside the US. The service is high quality and reliable to boot so you are guaranteed to always get your NFL kick. The disadvantage with this is that the games are often live so you have to go to the effort of avoiding any and all spoilers until you can watch the games. The cheapest and possible the most popular option for travelers on a budget is to make use of live streaming sites. Live streaming sites may be free however the quality leaves a whole lot to be desired. The video quality is often times sketchy and the streaming is rife with advertisements, buffering and time lags. If you have excellent internet connection and the patience to make it past the numerous advertisements, then this would make a great alternative. Bear in mind that it is almost guaranteed that watching NFL games over the internet will result in missing at least 90% of the major plays. The quality is just that unreliable. 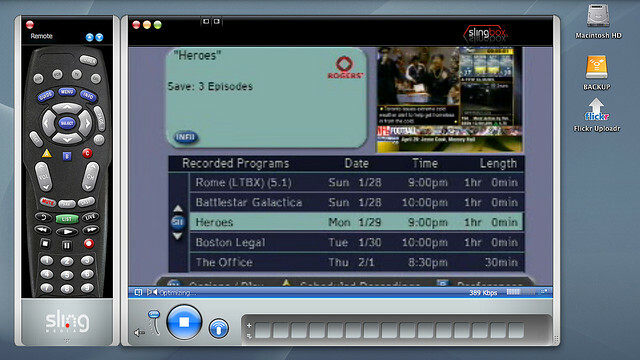 The best option for those of us who love the comforts of home and the high quality of television is using Slingplayer. With Slingplayer, NFL games are literally at your fingertips regardless of location or viewing platform. Whether you are on your laptop, smartphone, table or television, Slingplayer will sling your television signal to whatever remote part of the world you are travelling in. The service comes at no additional cost unlike the other options and the quality is the same as if you were sitting in your living room in the US. With so many choices to work around viewing problems, keeping updated is no longer an impossible task. All the options we have highlighted work in some capacity with the greatest difference being in price and quality. Aside from watching it live, you can experience the excitement at the American football betting site at William Hill. They offer a bridge to the traveler who just needs regular updates – like odds of your favorite team or player, game schedules, betting options and many more, without going through the bother of securing NFL game service through the other options. It can be used in conjunction with the other viewing platforms or as an independent solution to keeping informed with NFL updates. Image by Bostich,ken.ohtaka,Schwarz Johann Under Creative Common License.